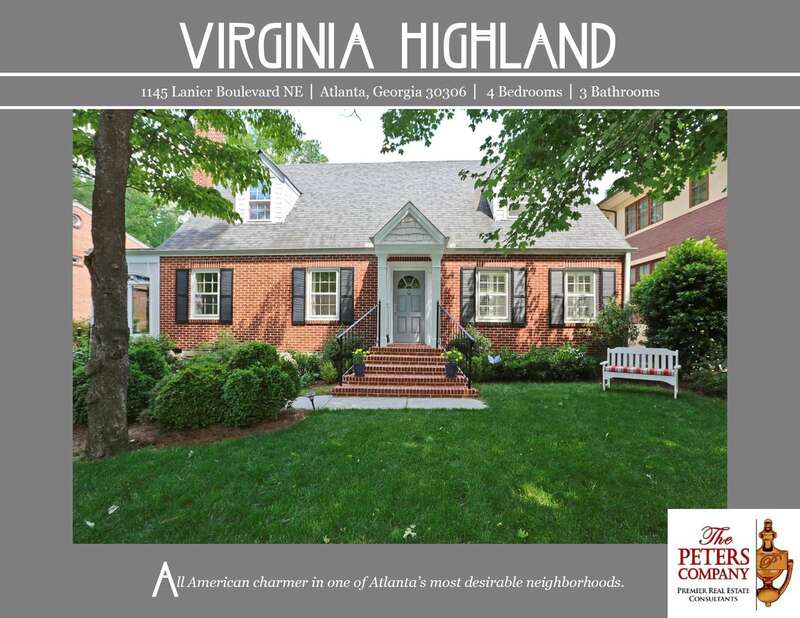 Just Listed :: All American Charmer in Virginia Highland! Welcome Home! Located on one of the neighborhood’s best streets, this home is loaded with historic charm and modern day luxury. You will love being only minutes to all that Virginia Highland has to offer– casual and fine dining, exciting nightlife, and boutique shopping! The close proximity to I-85 and I-75 makes it convenient to and from any direction. You’ll also love being near Piedmont Park’s beautiful setting and many activities throughout the year. · Remodeled kitchen features top of the line stainless steel appliances (including a Sub-Zero fridge), soapstone counters, farmhouse sink, and island. · Spacious living room boasts neutral colors, crown molding, and a dual sided gas fireplace. · The wonderful sun porch can be used year round. · Main level master suite is a true retreat including an updated bathroom and large walk-in closet with custom shelving. · The spa-like master bathroom features a vaulted ceiling, double vanity with limestone countertop, and oversized walk-in shower. · Secondary bathrooms are full of classic details. · The full basement provides plenty of additional living and storage space. · A covered deck is perfect for outdoor enjoyment and entertaining. Four-legged friends will love the large level backyard. · Amazing curb appeal thanks to mature landscaping and a tree lined street with sidewalks.